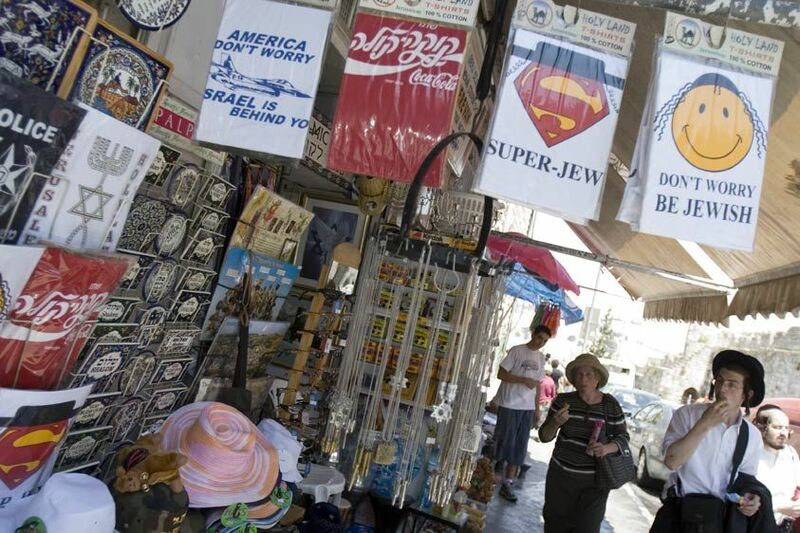 A tourist kiosk in the Jewish quarter of Jerusalem's Old City. 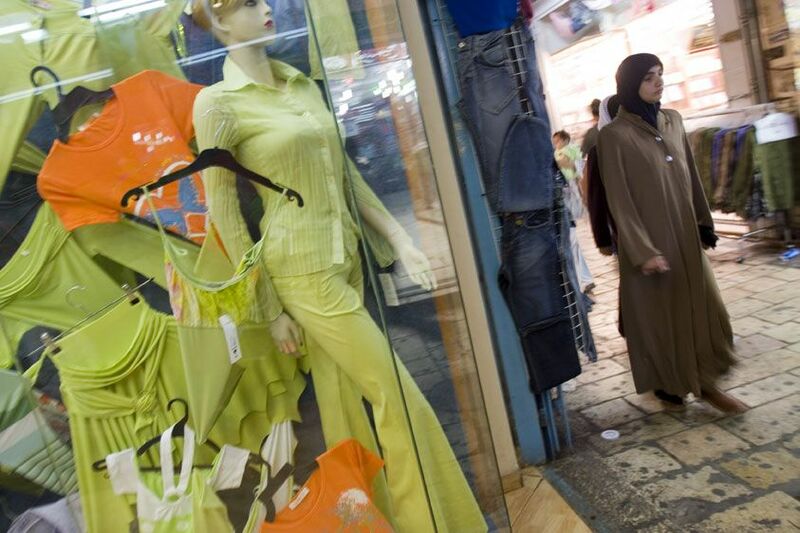 Boutiques offer new Western style clothing but much of the Palestinian population remains with a more traditional look. 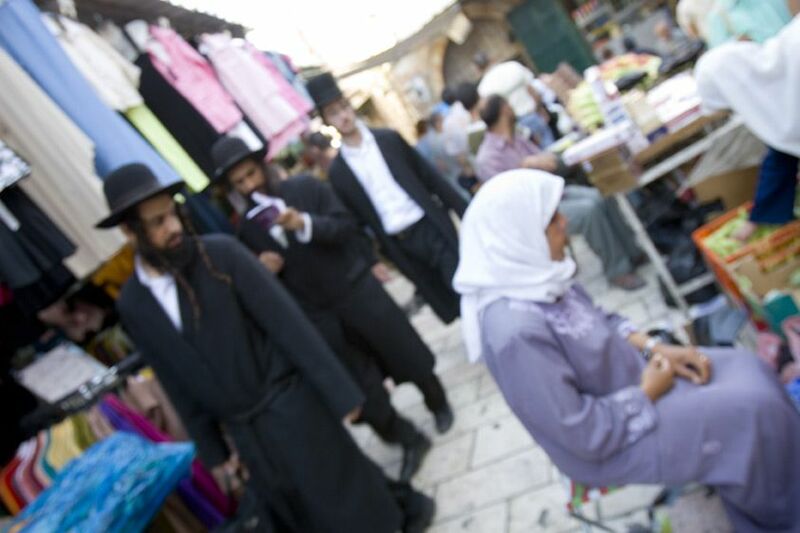 Hasidic Jews pass through the Arab Quarter. 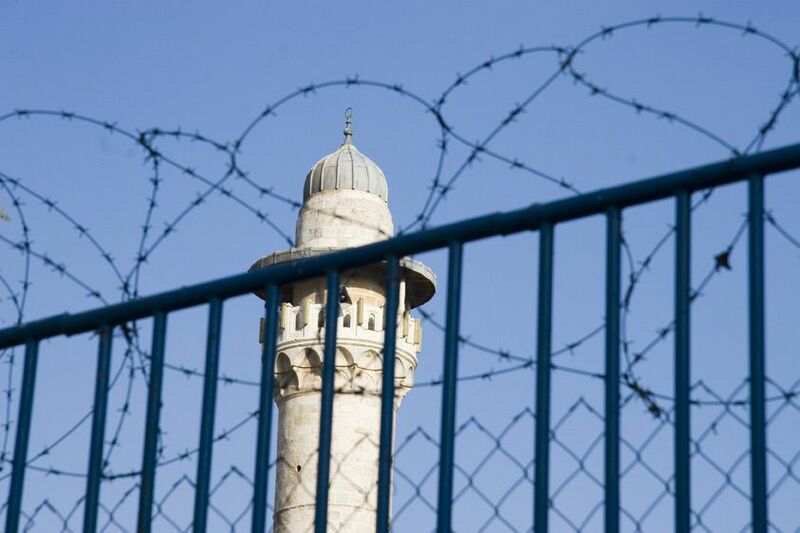 Palestinians are not allowed to enter the Jewish Quarter. A Palestinian woman and Israeli soldiers outside the Arab Quarter of Jerusalem's Old City. A Palestinian man and an Israeli police officer have a transaction. A Palestinian woman and a Palestinian cab driver are questioned by Israeli soldiers outside the Arab Quarter. Palestinian men play backgammon while Israeli police pass by. 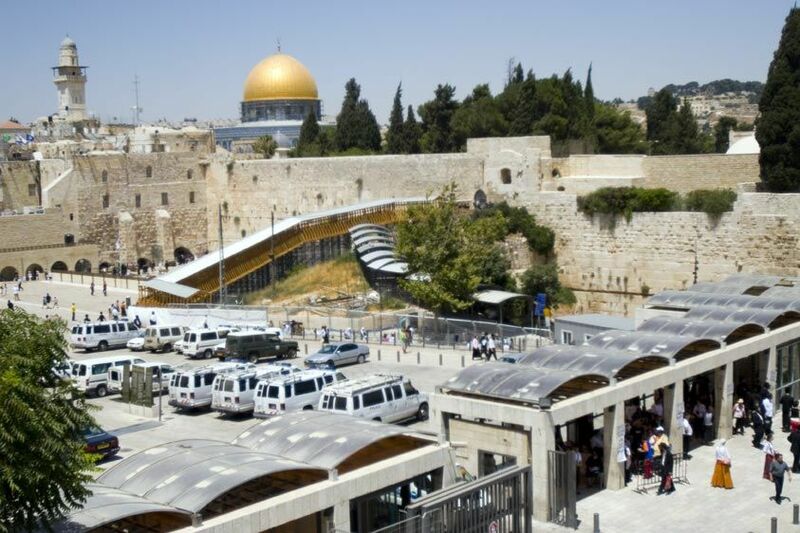 Armed Israeli police officers and soldiers patrol the Arab quarter and watch over the Palestinian population. 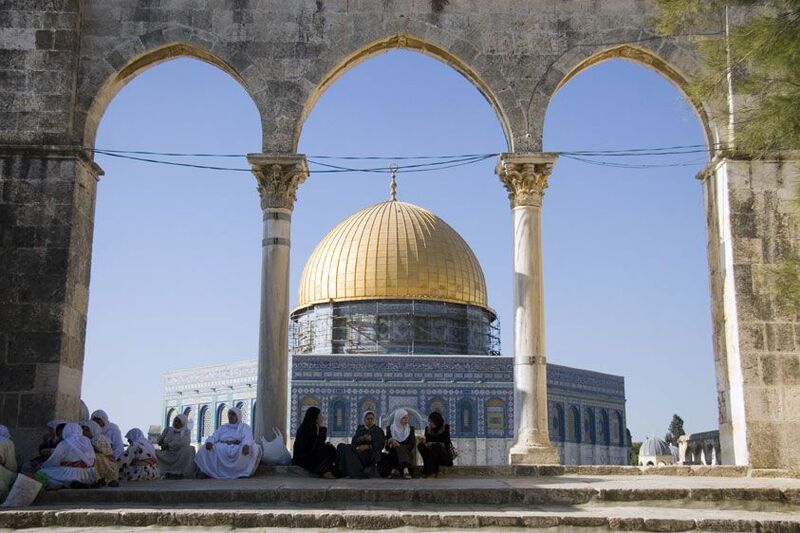 A corridor leading to the Dome of the Rock.